I got this polish at a dirty little beauty supply near me. It’s filled with rows upon rows of Sations and such, with a bunch of random weird brands and some super old Color Clubs. 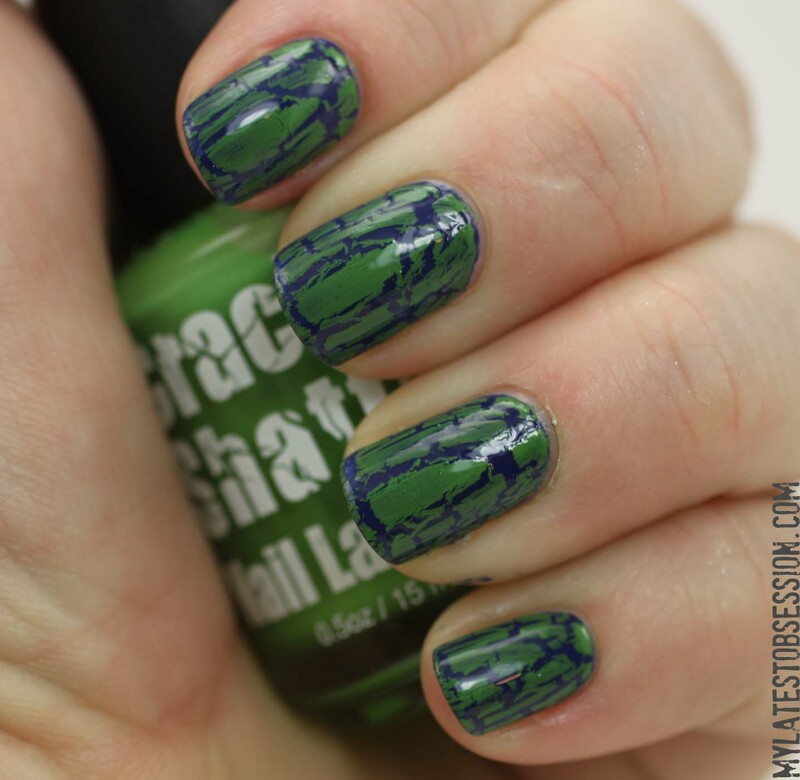 Anyway, there’s now a big section of crackle polishes from assorted brands, and this was one of them. 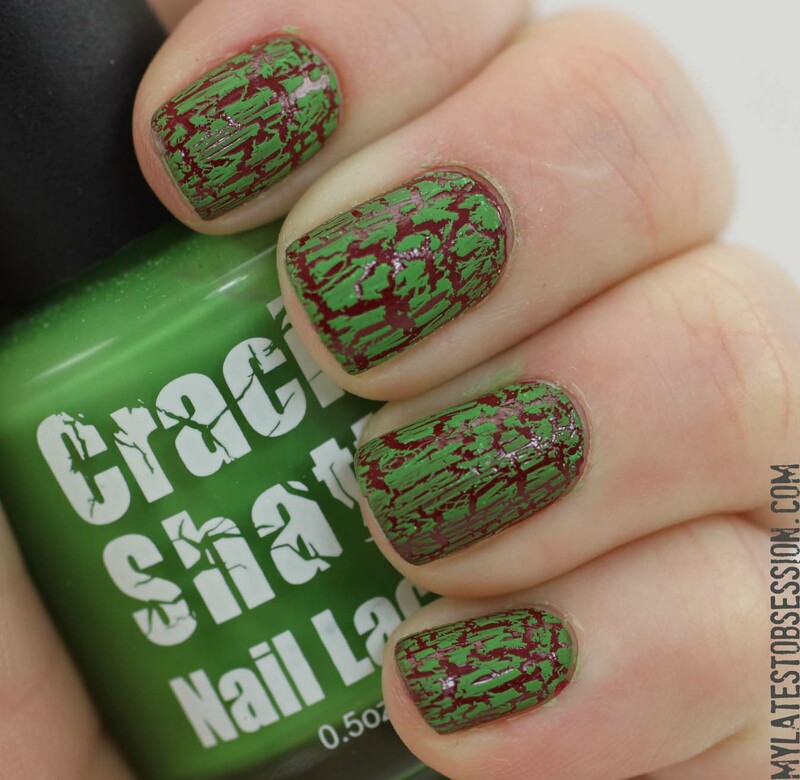 I’m really not sure what the name of it is, let alone the brand – it just says “Crackle Shatter” on it. How’s that for latching onto trends? Still, I’m very happy with it, because it is one of the best crackles I own – I’ll be getting more shades of this. See how well this crackles??? I wish I’d applied topcoat for this swatch though. And over Sally Hansen Thinking of Blue.